For young children, usually weekend will be filled with a get together with friends or a girlfriend. If you're tired in Jakarta, there's nothing wrong if you melipir to Bandung. In the city dubbed as the city of flowers this, you can stop by the restaurant uniquely themed with each corner fitting for you selfie along with a friend or girlfriend. Let's look at five restaurant recommendations from So news below! Cafe this one really fit for you who like to read and pingin feel like in a fairy tale atmosphere. 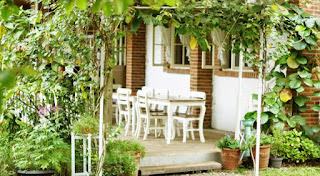 Atmosphere of the past are felt when you look at the building's facade cafe. The food menu is a western menu with prices to match your pocket. 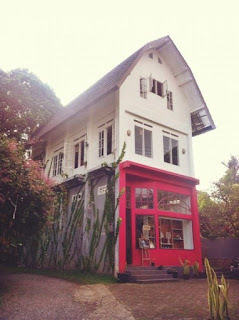 Little Wings Cafe & Library is located at Jalan Raya Barat Cigadung 2, Cibeunying Bandung. Cafe is open from 12:00 to 21:00 at night. Cafe Unique this one naturally themed birdhouse. 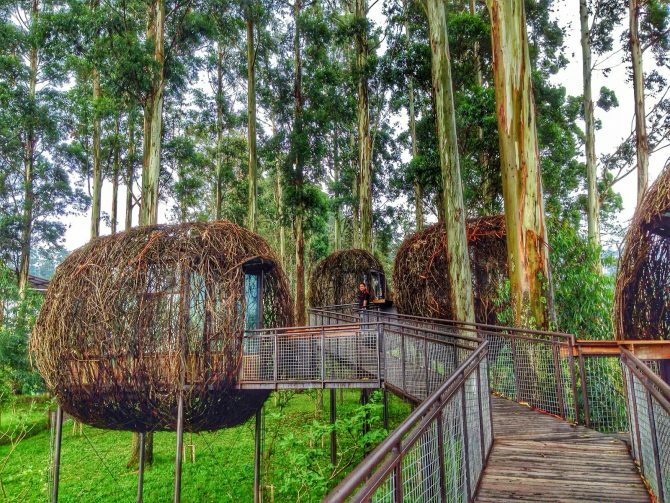 Each dining room designed oval-shaped and resembles a bird cage that is in between the trees. From the dining room to the other dining room is connected by a bridge very cool for you berselfie ria. The mainstay here is roasted rice coconut. 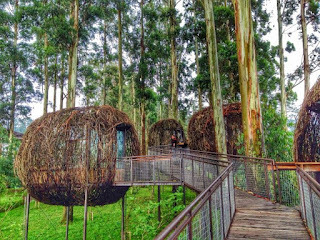 Kasarung in Dusun Bambu is located at KM 11 Jalan Colonel Masturi, Situ Lembang, Bandung Cisarua and is open from 10:00 to 17:00 o'clock in the afternoon. Cafe which already has many branches have always had a unique theme in each branch. Home concept is applied in the existing branch in Jalan R.E. Martadinata No. 125, Cihapit, Bandung Wetan. Here you can choose to dine in any room with home-style decor, either in the dining room, bedroom, play room, sewing room, or bathroom. The menu is presented is a western menu. 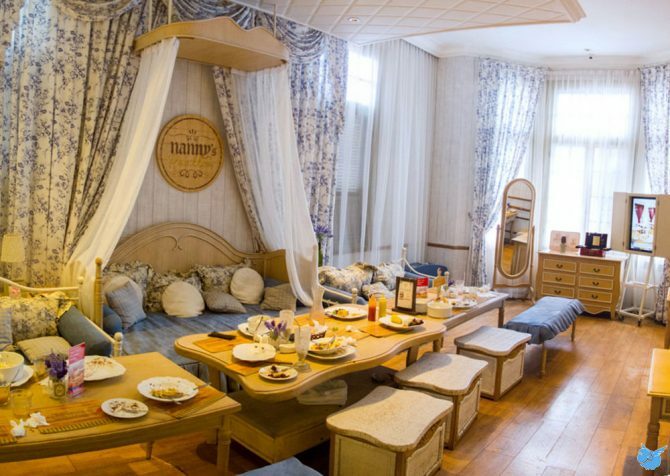 Nanny's Pavillon Home is open daily from 07:00 to 23:00 at night. 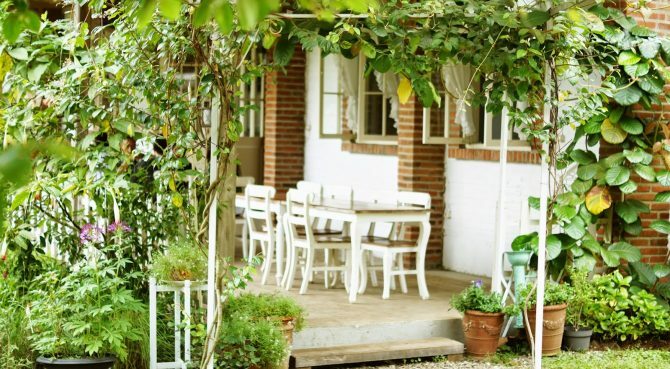 Vintage themed cozy Cafe is located in a house that doubles as a cafe. My Secret Garden Cafe able to indulge your curiosity selfie with views of the indoor and outdoor fitting for you selfie background. The best menu here is the fish satay served with fettucine napolitan. My Secret Garden Cafe in Jalan Gunung Agung 12, Ciumbuleuit, Bandung. Operational hours starting at 10:00 to 22:00 at night. 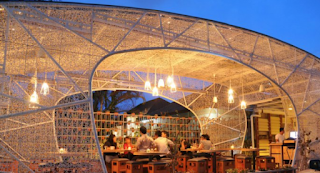 If Kasarung themed traditional style birdhouse, bird cage themed Hummingbird Eatery is a white modern style. Hummingbird Eatery located at Jalan Progo No. 14 Bandung. If you want to get a selfie beautiful background, you can visit at night because the lights here are very beautiful for your selfie background. Cafe's operating hours starting at 10:30 until 22:30 at night.